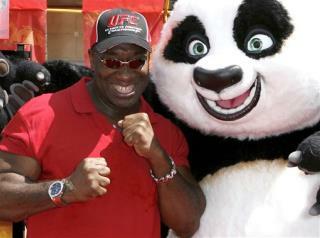 (Newser) – Michael Clarke Duncan, the hulking, prolific character actor whose dozens of films included an Oscar-nominated performance as a death row inmate in The Green Mile and such other box office hits as Armageddon, Planet of the Apes, and Kung Fu Panda, is dead at age 54. Clarke died this morning at Cedars-Sinai Medical Center in Los Angeles, where he was being treated for a heart attack, said his fiancée, reality TV personality Rev. Omarosa Manigault. There are far too many terrible actors around right now for this to have happened. Cannot believe it. Gone too soon at age 54. Happy I was able to see him in "The Finder" Fox TV show. God rest your soul Mr. Duncan.